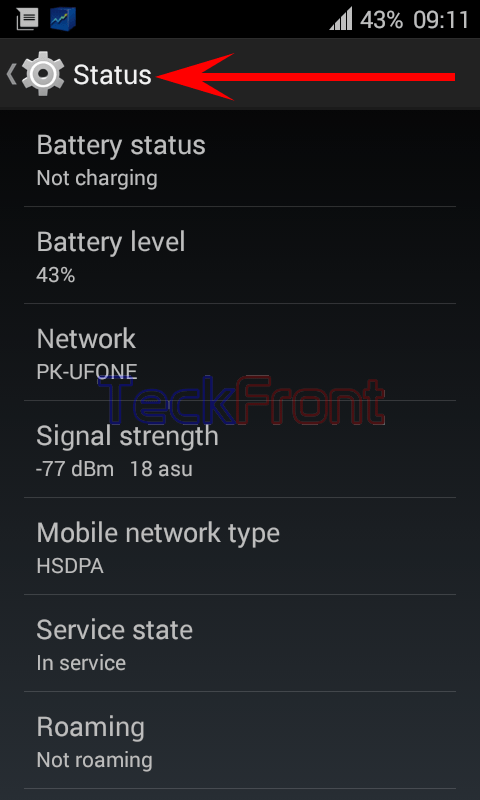 How to See Battery & Phone Status of Android 4.4.x KitKat Device? Exploring the details of newly acquired device is important. It becomes especially important when you are purchasing a used device. If you want to explore details about the battery and general status of any Android device, you may do it by just exploring one screen. Here, you may see many related / unrelated info about your Android. To explore battery and device status, just follow the instructions. Command Line: Settings – Home > About phone – SYSTEM > Status. 1: Follow the Command Line to open up the ‘Status’ screen of your Android 4.4.x KitKat device. 2: At the ‘Status’ screen, scroll down to see the following information about your Android device. Newer How to Allow Remote Lock / Erase If Android 4.4.x KitKat Device is Lost? Older How to Set CPU Frequency to Optimize Speed of Android 4.4.x KitKat Device?